Need for high atrium access? 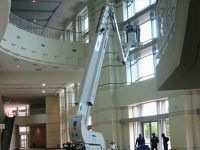 The Falcon Spider Atrium Access Lift can be the perfect solution to your high access atrium problem. 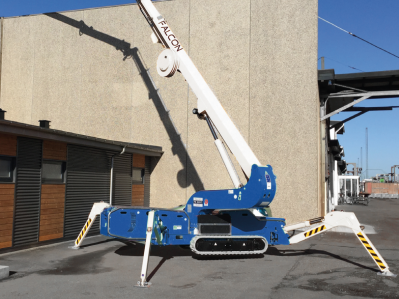 FALCON LIFTS offers a wide range of lifts – 29-52m of aerial, flexible and atrium access. When you need considerable work height combined with limited access and surface pressure restriction, nothing outperforms The Falcon Spider Atrium Lift series. 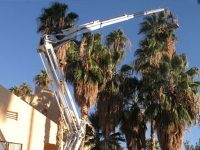 Falcon Spider Atrium Lift series sets a new standard for compact, flexible and light aerial work platform design. 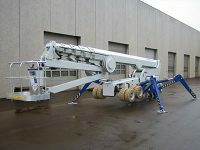 The Falcon Spider Atrium Lift has optional automatic outrigger setting and chassis control from basket. 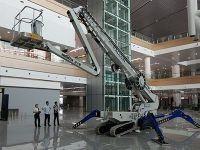 The lift can be driven in folded position from the basket as well as outriggers can be set automatically, also from the basket. The design is not only elegant, but also makes it the most user- friendly and safe unit in its class. 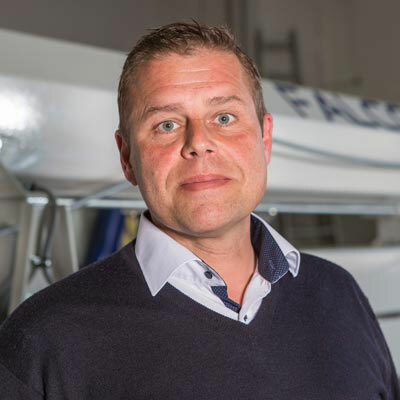 Standard features include our world- renowned, automatic safety- and stability system, which provides maximum safety as well as our unique multi-position outrigger system, which allows for set-up on uneven surfaces. 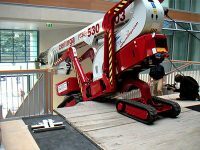 The Falcon Spider Atrium Lift makes it possible to operate in places where other high atrium access platform types fail. Please contact us for further information on The Falcon Spider Atrium Lift. Do you want to hear more about Falcon Spider lifts?